India and Brazil are the greatest exporting countries of granite blocks and slabs in the world. Stonenews.eu, after studying the statistical results of the International Trade Centre and the National Statistical Institutes, is presenting a comparison between India and Brazil based on their granite blocks and slabs exports. 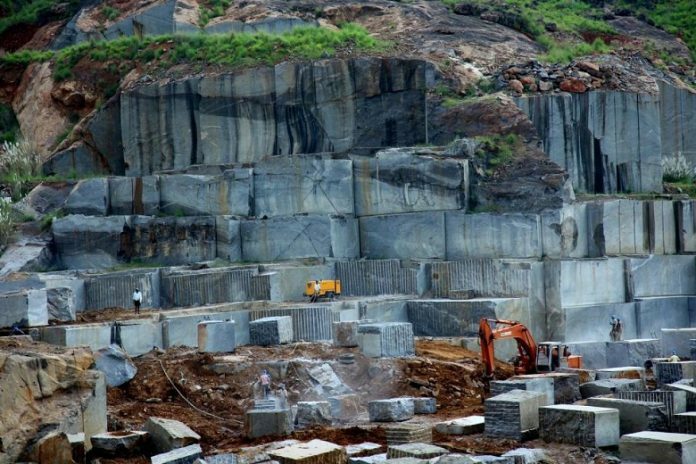 India is the world’s leading exporter of rough granite blocks (Hs Code 251611) while Brazil dominates in granite slabs exports (Hs Code 251612), both of them targeting China, which absorbs the greatest part of both exports. The table below shows comparative data on India’s and Brazil’s granite blocks and slabs exports in 2017. As seen at the table, India η Ινδία stands out in value and quantity of rough granite blocks exports (Hs Code 251611), while Brazil dominates in value and quantity of granite slabs exports (Hs Code 251612). However, in 2017, Brazil exported both granite blocks and granite slabs in higher price per tonne than India. It is worth saying that from 2013 till 2017, the price per tonne of India’s granite blocks exports decreased by -8.44%, in contrast with the price of granite slabs exports which increased by +9.28%. At the same period of time (2013-2017), the price per tonne of Brazil’s granite blocks exports declined by -22.74% as well as the price of granite slabs exports by -7.82%.